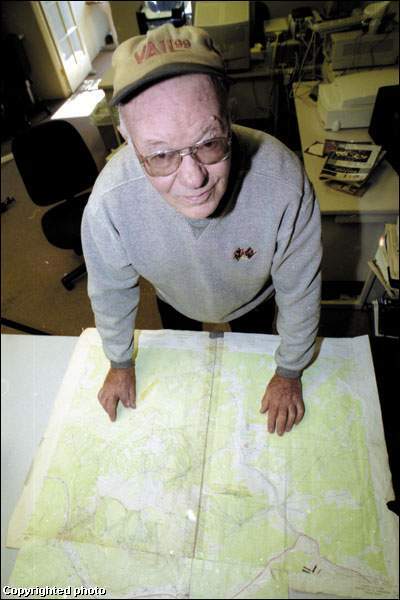 VAIL, Colo. ” Earl V. Eaton, the man who first saw the potential of Vail Mountain as a ski resort, died Sunday. The Eagle resident was diagnosed with cancer last year. Eaton introduced Vail developer Peter Seibert to the Back Bowls in the late ’50s but remained in the background as Vail was built and grew into one of the world’s biggest ski resorts. He was raised in a homesteader’s cabin on Squaw Creek near Edwards, where his family logged and ranched. Eaton hunted and hiked all over the area, climbing peaks around Breckenridge, Leadville and the Gore Creek Valley. After serving in the Army during World War II, he returned home and, with the ski industry burgeoning, started looking for a place for a new ski resort. Eaton found some open bowls in the Two Elk Creek drainage ” now Vail’s famous Back Bowls ” and thought they might be a good spot for skiing. He and Lefty McDonald, a longtime friend, skinned up the nameless mountain in 1955. Eaton started taking snow measurements to evaluate the area’s skiing potential. In 1957, Eaton ascended the mountain with Seibert, with whom he had worked at Aspen and Loveland. Vail Mountain opened about six years later. Eaton worked for Vail as the ski area was built, helping with the construction of lifts and trails. Acquaintances called Eaton soft-spoken, honest and modest. Eaton would never talk about his role as the discoverer of ski terrain that would become world renowned, said Rod Slifer, who has lived in Vail since the early ’60s. “Someone would ask him the question, and he would say, ‘Yep.’ That’s all,” Slifer said. But Eaton quietly recognized his part in turning a sparsely populated county of ranches into a mecca of skiing, his son said. David Gorsuch, a Vail resident, owner of Gorsuch Ltd. and Olympic ski racer, knew Eaton in the mining town of Climax, where Gorsuch grew up and where Eaton worked. That was a few years before Vail was built. Vail now has 5,289 acres of skiable terrain and consistently ranks as No. 1 or No. 2 in SKI magazine’s annual ranking of North American resorts. Several years ago, Vail Resorts christened part of its new Blue Sky Basin area as “Earl’s Bowl” in honor of Eaton. Eaton also recognized Beaver Creek as a potential ski area, skinning up Grouse Mountain with McDonald in 1955, too. Rancher Willis Nottingham declined to sell then, but years later Vail Associates developed the area into another world-class ski resort. “We have lost a true Vail pioneer and an important contributor to the Colorado ski industry with the passing of Earl Eaton,” said Chris Jarnot, chief operating officer of Vail Mountain. “Pete Seibert was the first to acknowledge that although he was credited with founding the resort company, it was Earl who discovered Vail, and without him, it likely wouldn’t exist. “All of us at Vail join the Eaton family in mourning his loss. We were all inspired over the years by Earl’s passion for the mountains, and we will miss seeing him joyfully riding Vail Mountain on his signature ski bike. Eaton was inducted into the Colorado Ski and Snowboard Hall of Fame in 1998. McDonald recalled working with Eaton to create the first snowmaking system in Colorado, at Ski Broadmoor in Colorado Springs. Slifer remembered Eaton creating surveying equipment partially out of aspen trees ” a contraption that worked just as well as the professionals’ gear. As a young man, Eaton worked in mines at Climax and Kokomo. He also worked at several ski resorts, including Loveland, Ski Broadmoor and Aspen. He was known for his adventurous spirit. He fished and hunted, and once rafted from Aspen to Lake Mead. In his later years, he rode his hand-built ski bike, or “ski bob,” on the mountain he discovered ” he was the only person allowed to ride a ski bike during the mountain’s regular hours. In summers, he searched for gold in the mountains south of Eagle and Edwards in hopes of a big strike. “He was a mountain man,” Carl Eaton said. Services have not been announced. Eaton is survived by his ex-wife, Penelope; his children, Sherry, Micah, Carl and Carrie-Bronwyn; his grandchildren, Pamela Vigil and Christopher Eaton; and his sister Nettie Webber.